CONDITION REPORT: Excellent & unpolished. The dial is mint. Comes with its original warranty papers and original invoice. The Speedmaster Professional Mark II has the same Caliber 861 as the Speedmaster ‘Moonwatch’. It was launched in 1969, the year of the landing on the moon, which also meant the renaming of the Speedmaster and the change in the case back engraving to include first watch worn on the moon. 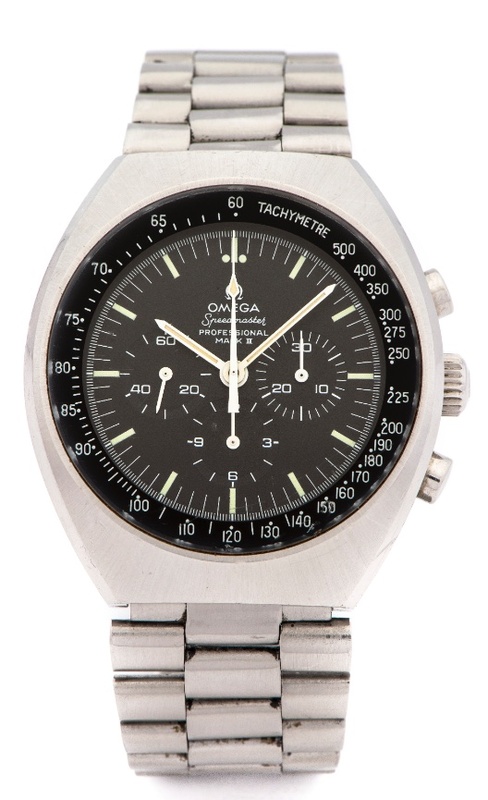 Omega had also been developing improvements and modifications to the Speedmaster that they wished to submit to NASA. The Speedmaster Mark II has the same movement and quality as its predecessor with a redesigned case and different material glass.